ANGER and hurt emanating from the Cape Town cheating scandal is still palpable among Australian cricket fans, according to South Africa captain Faf du Plessis. Du Plessis knows firsthand how unforgiving the Australian public can be, having been booed upon completing a Test century at Adelaide Oval shortly after being charged with ball-tampering in 2016. He has also followed reaction to the sandpaper scandal that overshadowed the Proteas' landmark Test series win over Australia. But a three-week tour of Australia, completed with a comfortable Twenty20 win on the Gold Coast last Saturday night, nonetheless proved an eye opener. Du Plessis suggested Aaron Finch's team had been "tame" on the field, and he could sense why. "It's difficult to experience the hurt that Australian cricket is going through if you're not there. The public is angry at what happened," du Plessis said. 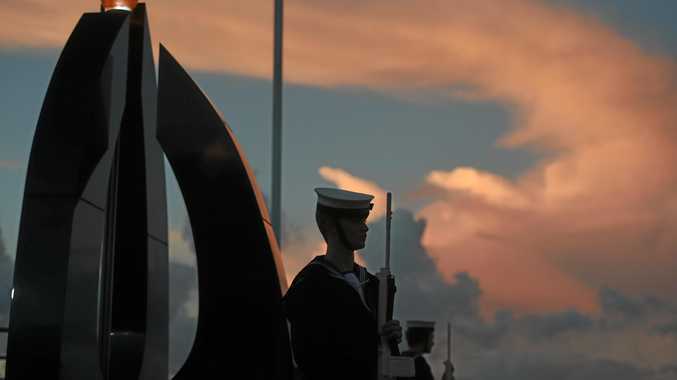 "It has affected the general supporters in Australia. They were honestly really hurt. 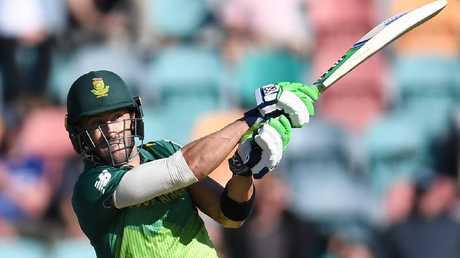 Faf du Plessis was in fantastic form during the recent ODI series in Australia. "You understand why they want to play a different brand of cricket because there is a lot of eyes on them, the style they play and the way they carry themselves as cricketers but also as people. "I understand where it's coming from. "They'll find out what works for them over the next six months or so if it's really something they believe in." Australia have shelved their in-your-face approach since the ball-tampering furore erupted, prompting a change of coach and long suspensions for Steve Smith, David Warner and Cameron Bancroft. Last month's independent report highlighted a culture of winning without counting the costs and a disconnect between fans and "arrogant" players. Recent introspection has coincided with a stack of lopsided losses. 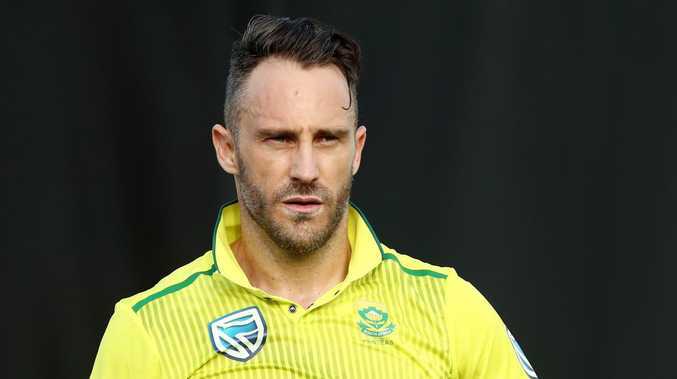 Du Plessis last week cautioned Australia against taking away their "uniqueness or strength". "Don't become someone you are not. When guys are not authentic they are not the best cricketers they can be," du Plessis warned.